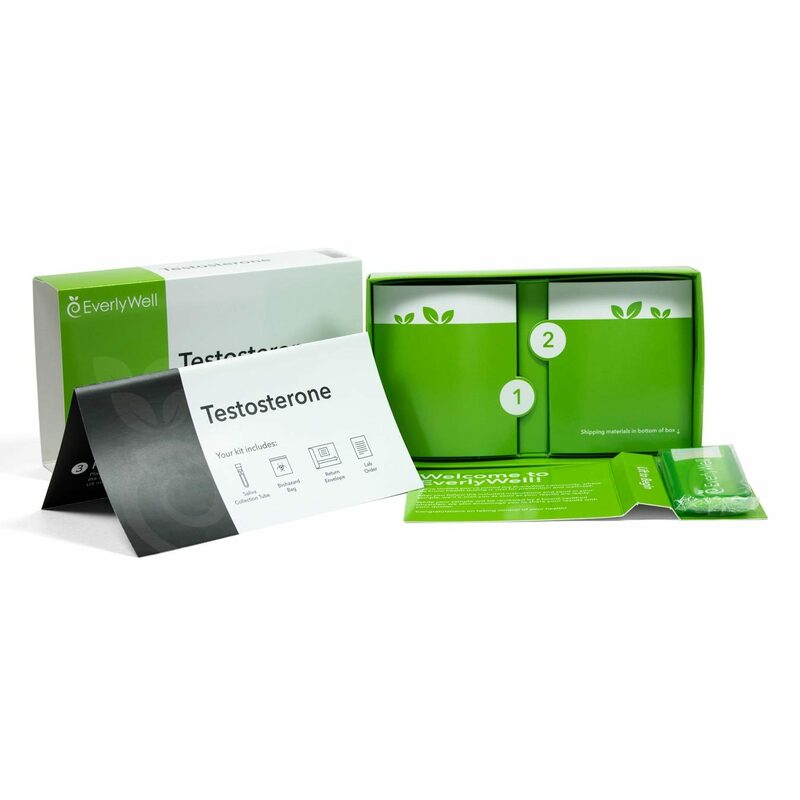 This at-home test for men quickly checks to see if you are producing adequate testosterone for your age. Testosterone is commonly thought of as the “male” hormone, and certainly male characteristics are the result of testosterone production in the body. However, women also produce testosterone and need healthy levels of it for hormone balance. From libido to facial hair to muscle mass to voice depth to energy levels and more, this hormone is vital for men, and a lower than normal level of testosterone or “Low T”, may cause troubling health challenges. For those men who are interested in understanding their testosterone levels, we offer an at-home testosterone test or a larger spectrum Men’s Health Test. Both men and women can check free testosterone levels with this test. The EverlyWell saliva-based testosterone test is affordable and reliable. It is the first step in understanding your own testosterone level.